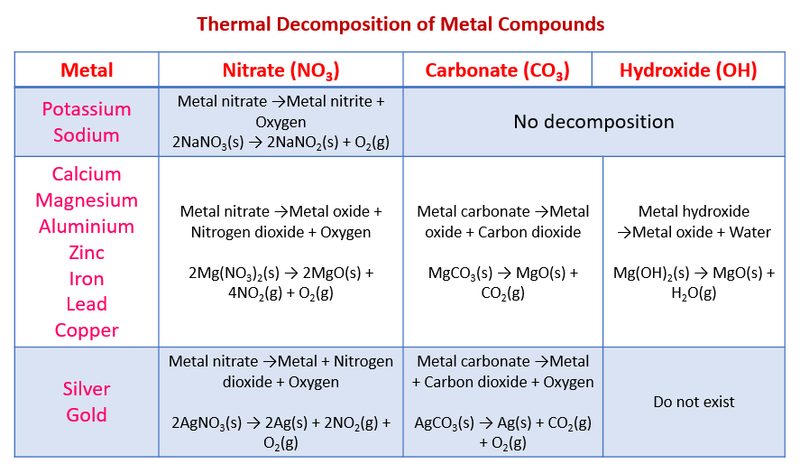 Nitrates of highly reactive metals decompose thermally to form metal nitrite and oxygen gas when heated. Nitrates of moderately reactive metals produce brown fumes of nitrogen dioxide gas when heated, as well as the metal oxide and oxygen gas. Nitrates of low reactive metals decompose thermally to form the metal, nitrogen dioxide and oxygen.